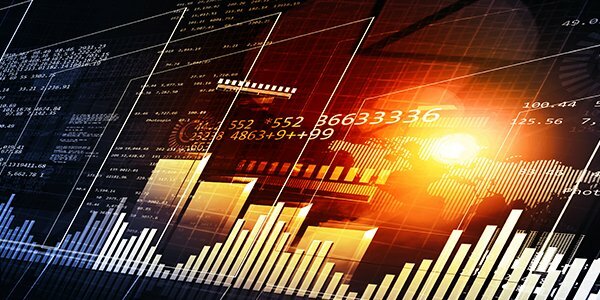 Market Update – May Edition: Canada’s Economic Gains Usurped by Global Political Unrest; TSX Underperforms Wall Street - Inukshuk Capital Management Inc.
June 12, 2017 /in Market Update /by Inukshuk Capital Management Inc.
Canada’s emergence as the G7’s fastest-growing economy was barely noticed last month, with investors preoccupied by a growing political scandal involving U.S. President Donald Trump. Politics triggered North America’s biggest selloff in more than eight months, with a key measure of volatility spiking at a pace rarely seen outside of major crises. Last month, Donald Trump faced the biggest challenge of his young presidency after a memo written by then-FBI Director James Comey levied allegations of obstruction against the Commander In-Chief. In that memo, Comey says the president tried to end an investigation of former National Security Advisor Michael Flynn, who resigned in February over misleading Vice President Michael Pence about his interaction with Russian officials. Under U.S. law, obstruction of justice is an impeachable offense. At the height of the political storm, Trump ventured to the Middle East for his first foreign tour as head of state. However, a relief rally quickly ensued, with the S&P 500 ending the month back near record highs. The markets snapped back into form after President Trump announced a $100 billion arms deal with Saudi Arabia. Though highly controversial, the deal stoked gains in defense and aerospace stocks and pulled the market out of its risk-off funk. Rebounding oil prices tied to OPEC’s decision to extend its supply-cut agreement also played an important role in getting equity markets back on track. By the end of the month, the TSX had yet to fully recover from the one-day selloff, and ended down 1.5% as a result. For the year, Toronto’s benchmark index has returned approximately 1%, vastly underperforming its U.S. and European counterparts. An outsized exposure to financials and energy shares is partially responsible for the TSX’s poor relative performance this year. The equity gauge came under renewed pressure last month after Moody’s Investors Service downgraded Canada’s six largest banks over concerns of runaway debt and overvalued property markets. In the eyes of many, this dangerous cocktail exposes Canada’s financial system to significant risks. Canada’s economy flexed its muscles in the first quarter, growing at its fastest pace in seven years. Gross domestic product (GDP) expanded 3.7% year-over-year in the March quarter, easily tops in the Group of Seven and well above the 1.2% expansion posted by its southern neighbour. Household spending on goods was the main contributor to the growth, rising 4.3%. A construction upturn and stabilizing oil prices also helped shore up the world’s eleventh-largest economy. Even amid faster than expected growth, the Bank of Canada has warned of downside risks to the economy. Inflation is weakening and wage growth is the slowest it has been in decades, a sign the recent string of job creation was coming at the expense of earnings. Sam Bourgi (17 May 2017). “S&P 500 Futures Drop by Most in Eight Months as Volatility Returns.” Economic Calendar. The Canadian Press (May 11, 2017). “Moody’s downgrades credit ratings for six of Canada’s largest banks.” The Star. Drew Hasselback (May 31, 20170. “Canadian GDP soars 3.7 per cent in first quarter, slightly below analyst expectations.” Financial Post.